Big pharma's poster boy Shkreli's arrest hasn't stopped the furor over high drug prices and how drug companies are changing the health care industry, often for the worse. Here's what you need to know. 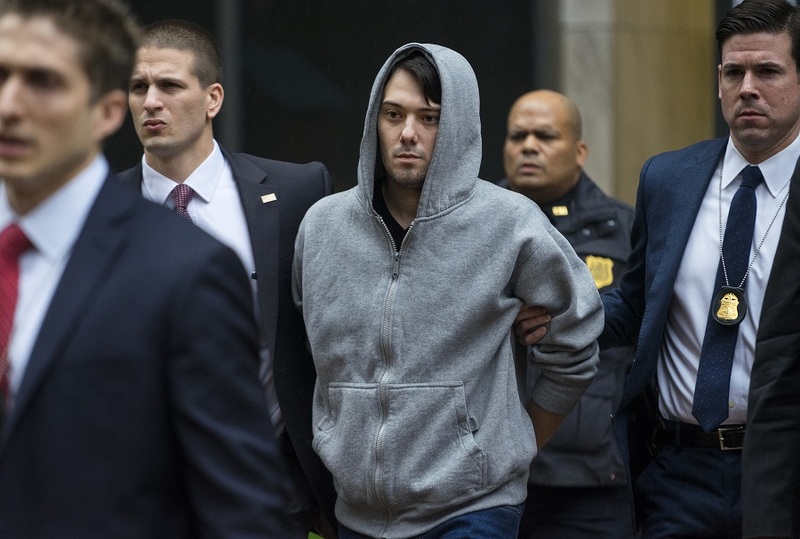 (Bloomberg) — Martin Shkreli, the pharmaceutical CEO arrested on securities fraud charges this week, may have made drug price increases notorious in the U.S. But his strategy of finding an old drug, raising its price, and taking the profit is one that’s increasingly common among a new breed of drugmakers. Disdaining a business model dependent on expensive research and development, companies like Shkreli’s Turing Pharmaceuticals AG, Valeant Pharmaceuticals International Inc., Rodelis Therapeutics, and others have taken advantage of inefficiencies in the U.S. health-care system. Old drugs can be sold at much higher prices if the owner is willing to push the boundaries of what the market will bear. Turing, for example, took a decades-old drug, Daraprim, and raised the price to $750 a pill from $13.50. Shkreli was arrested Thursday in New York on charges related to hedge funds he ran and his old drug company Retrophin Inc. He has denied the charges, which aren’t related to drug pricing. Turing declined to comment. The company announced today that Shkreli has resigned as CEO. “Shkreli has become the Wolf of Pharma Street–he’s basically come to represent everything that was bad and wrong with pharma,” Art Caplan, a medical ethicist at New York University, said by phone. Like Shkreli, Valeant Chief Executive Officer Mike Pearson has excelled at finding cheap drugs, boosting their cost and reaping the rewards. The company took two heart drugs, Nitropress and Isuprel, and raised their prices by 212 percent and 525 percent, respectively. Rodelis boosted a tuberculosis treatment to $360 a pill from $20, before saying in September that it would give up rights to the drug. Rodelis was working to ensure “long-term availability” of the tuberculosis drug, and planned to maintain patients’ access, the company said on its website. The drug’s rights were returned to the nonprofit Purdue Research Foundation, who sold it to Rodelis earlier this year, in September after an outcry over the price increase. Such price increases aren’t a new strategy. From 2005 to 2008, Questcor Pharmaceuticals Inc., now owned by Mallinckrodt Plc, increased the price of the drug H.P. Acthar from $1,235 a vial to $29,086. Mallinckrodt had no immediate comment. Questcor raised the price in 2007 because Acthar was no longer profitable, according to Mallinckrodt, and since it was acquired Mallinckrodt says its price increases have been in line with or below inflation. Shkreli has previously said that his goal is to use his financial gains to develop new drugs and that he gives much of his company’s medicine away for pennies. At Valeant, after facing criticism of price increases, Pearson said in October that the company won’t be as reliant on the practice. And he’s taken pains to distance himself from Turing and Shkreli. “To compare us to Turing is ridiculous,” Pearson said during a Dec. 15 interview with CNBC. “That is a single-product company.” Valeant declined to comment for this story. Yet Pearson has criticized Big Pharma companies for overspending on research, and the company has said that it looks for products that can be sold better and more profitably by Valeant. In Daraprim, and other drugs, Shkreli may have seen the same opportunity. “If you talk to anyone in pharma, maybe I don’t have the same resources as Pfizer, I may not have the same experience as Merck, but I’m crafty as f—,” Shkreli said in a Dec. 16 interview with the publication HipHopDX. Turing fired back that other drugmakers raise prices frequently. Valeant said that it should be judged by how many products it brought to market, not what it spent on R&D. Companies like Turing and Valeant that acquire drugs instead of developing them are the “exceptions and not the rule,” said Robert Langer, a professor at MIT and co-founder of more than 25 biotechnology companies. Yet price increases are common across the industry, from big players such as Pfizer Inc. and Merck & Co., to manufacturers of generic drugs. In October a price survey of more than 21,000 generic drugs for Bloomberg News by DRX, a unit of Connecture Inc. that tracks drug prices, found that more than 3,500 have doubled or more since late 2007, ranging from basic chemotherapy medicines to old antibiotics. “It’s becoming a new financial model, it’s not just Turing–Horizon does this, Valeant does this,” Steve Miller, chief medical officer at drug-benefit manager Express Scripts Holding Co. said by phone. Miller has been a frequent critic of drugmakers, and he sits at the other side of the negotiating table, managing pharmaceutical costs for health insurers. “We have a new class of leadership at these organizations that no longer feels encumbered by the social contract that had previously existed,” Miller said. Horizon, for example, raised the price of the pain drug Vimovo by almost 600 percent after buying the rights from AstraZeneca in 2013, the Wall Street Journal reported in April, citing Truven Health Analytics. “Pricing is not, nor has ever been a key driver for our business,” Geoff Curtis, a Horizon spokesman, said in an e-mail. He said the company makes proprietary drugs and grows by increasing prescriptions, not prices. Until Thursday, Shkreli had been flying high despite the personal scorn his business practices had brought upon him. Turing had announced that U.S. regulators had given its new drug a fast-track designation in its approval process. Last month, he acquired a majority stake in a floundering drugmaker, KaloBios Pharmaceuticals Inc., sending its shares soaring, and named himself CEO. Shkreli had continued to attract investors even after the Retrophin board ousted him last year. He arranged a deal with his former employer to take two drugs with him to his new company, Turing. That gave him a foundation he then added to with the acquisition of Daraprim in August. The increase in the price of Turing’s drug, a potentially life-saving treatment for some children and people with HIV, isn’t right, said Hank Greely, a Stanford University bioethicist. “It may be legal, but exploiting people like this is wrong,” Greely said.